Australian agency exec Lawrence Yang has earned himself the title of eighth ‘Biggest Search Geek’ in the world in a global search marketing contest. 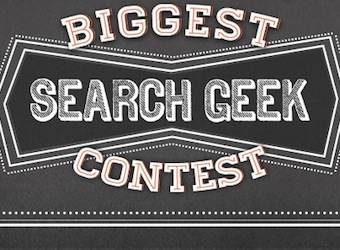 The performance director at FirstClick Consulting competed against a global field in Marin Software and Search Marketing Expo’s (SMX) ‘Biggest Search Geek Contest’, placing eighth with a score of 65%. The contest comprised an online quiz of 20 questions about some of the most granular aspects of search marketing. An American, Adlucent account manager Renato Del Vento, took out top honours with a high score of 84%, finishing the quiz in five minutes and 39 seconds. Marin Australia is calling for more Aussies to enter next years’ competition. “It would be such a coup to see an Aussie take the title out later this year so we are encouraging more Australians to step forward and get their geek on,” managing director at the digital ad management software provider, Nick Gill, says. As winner, Renato picks up a return trip for two to SMX West and an iPad mini. Second- and third-place getters, Ashley Kennedy of Amplify and Michael Freeman of Shoretel, also received iPad minis. A record number of competitors entered this year. The quiz is still live for search marketers wanting to test their SEM knowledge.